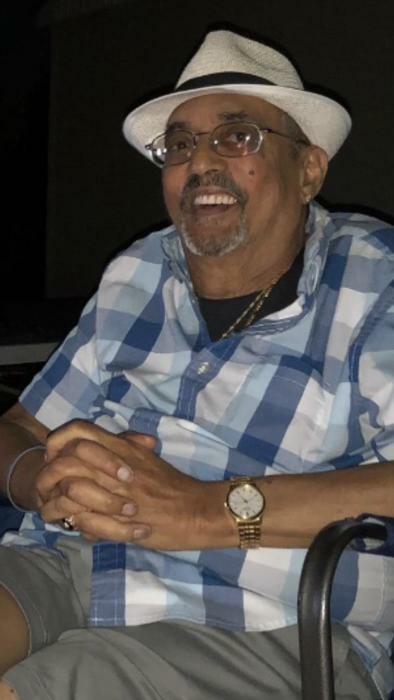 Peter J Silver Jr., 77, of Morse Ave, Groton, died early Wednesday morning, October 3, 2018 at Lawrence Memorial Hospital surrounded by loving family. He was the son of the late Peter Silver Sr. and Julia Silver (Vaz). Mr. Silver was a proud veteran of the United States Navy. Peter worked for 47 years at Electric Boat in Groton as an electrician and inspector. He was a former member of The International Brotherhood of Electrical Workers. He also served as a former president of The Electrical Worker Retirees. Peter loved to fish and enjoyed reading, watching cooking shows, Jeopardy, sports and the news. In 2011 Pete married his soul mate Dominica Vaz. Pete was so in love with his “love”. He brought her flowers every week and looked forward to making her happy. Nika was the love of his life and he never got tired of telling you how much he loved her. Nika was cut out especially for Pete and he knew it and was very thankful. When he married Nika, he married into an amazing family and gained a daughter, a brother, sisters and a host of family members that loved and supported them both. During Pete’s illness he had so much support and love. One of the supporters that made things much more bearable was Stephanie Lancaster Johnson. Stephanie was there for Pete and Nika whenever she could be. With a medical background Stephanie gave them both the comfort of knowing that they had someone that could really watch their back. She was another daughter to them both and took great care of them. Pete loved her very much. They also couldn’t have gotten through it without the love and support of Angel, Anna, Sam and George. Their love and support was a blessing. Pete enjoyed the time that he spent with his son Pjay (Peter) and his daughter Angel. They would talk and spend time reminiscing about the good old days. They both loved sitting and listening to their dad’s extensive knowledge about different subjects. He was one of the smartest men they knew. Pete’s story does not end without mentioning the apples of his eye, his granddaughters Heaven and Halaya. Pete enjoyed getting “just because” calls from Heaven and Halaya brought a smile to grandpa’s face every time she would be in his presence. He loved his baby girls and boy did they love their grandpa. When Kwamene would get the time to come to CT or call he was very happy to know that he was thinking about him. Pete also enjoyed the out of the blue calls from his grandson Koran, he was very happy when they were talking just to talk. Peter is survived by his wife Dominica Silver, his son Peter J Silver 3rd, his daughter Angel Soares (Troy), his daughter Anna Allison (George) and his brother Sam Vaz, Peter has 4 grandchildren: Kwamene Williams, Heaven Carter, Koran Soares and Halaya Soares. He also has a host of family and friends that will truly miss him and that’s the truth. Funeral Services: Monday, October 8, 2018 10:00 a.m. Calling Hours: Sunday, October 7, 2018 3p.m.-6p.m.